A unique flavo(u)r bomb made with a host of secret ingredients guaranteed to take family favo(u)rites to a whole new level. 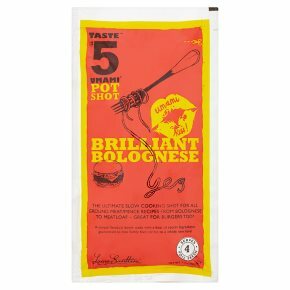 Foil fresh.The ultimate slow cooking shot for all ground meat/mince recipes from bolognese to meatloaf - great for burgers too! This pouch in not suitable for microwave use.